We're all about those natural textures. When we learned Jenni Kayne was expanding her home collection to furniture, the office went abuzz. 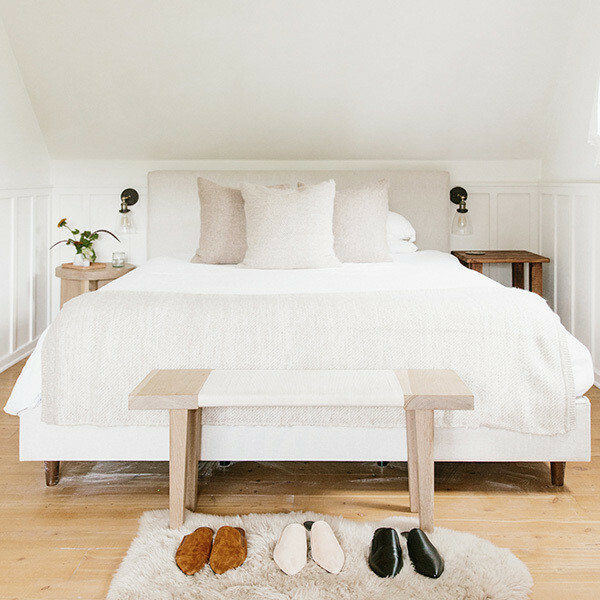 Ever since it launched it last year, we have been obsessed with the amazing natural materials, beautiful textiles, and simple, yet elegant shapes of all her pieces. Adding furniture into the mix would finally make Kayne's takeover of our home wishlist complete. 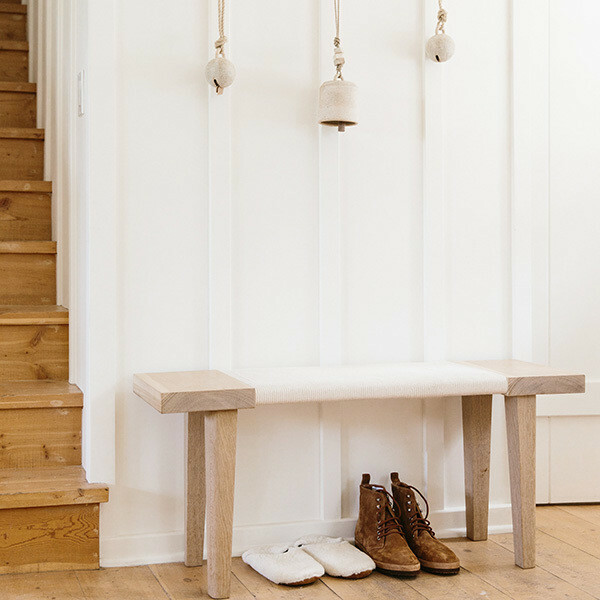 The new line is designed primarily in natural white oak with woven organic rope details. Essentially, it's the perfect selection for any fan of minimalism and modern Scandinavian design. 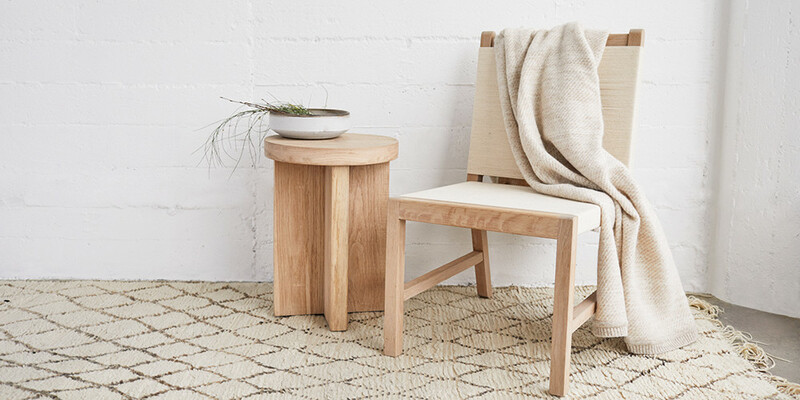 We can easily see these pieces like a beautiful woven bench or simply elegant side tables incorporated into a variety of spaces from a Cali-cool bungalow to a minimalist city apartment. The collection actually reflects the pieces Kayne uses and loves in her own homes in Brentwood and Lake Tahoe. While the collection is mostly filled with accent pieces for now, we can't wait to see where the designer takes her line in the future.